So here we are again at the beginning of a new month and July, just like every other month, was all about trying out new products and clearly still not being able to stop buying more makeup. 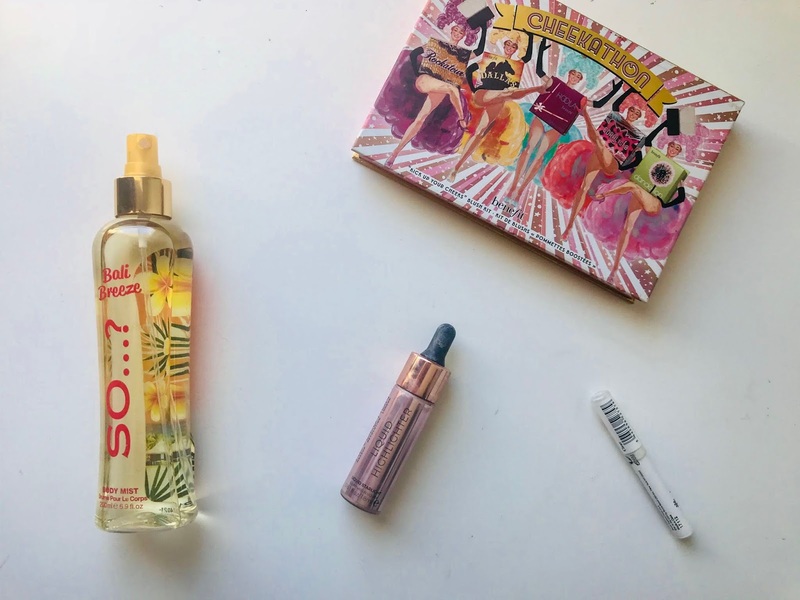 Over the past few weeks I managed to find a number of different things that I have been loving to use so I thought I would share them with you all in this months favourites post. My first favourite of the month is the Revolution Liquid Highlight in Liquid Starlight. 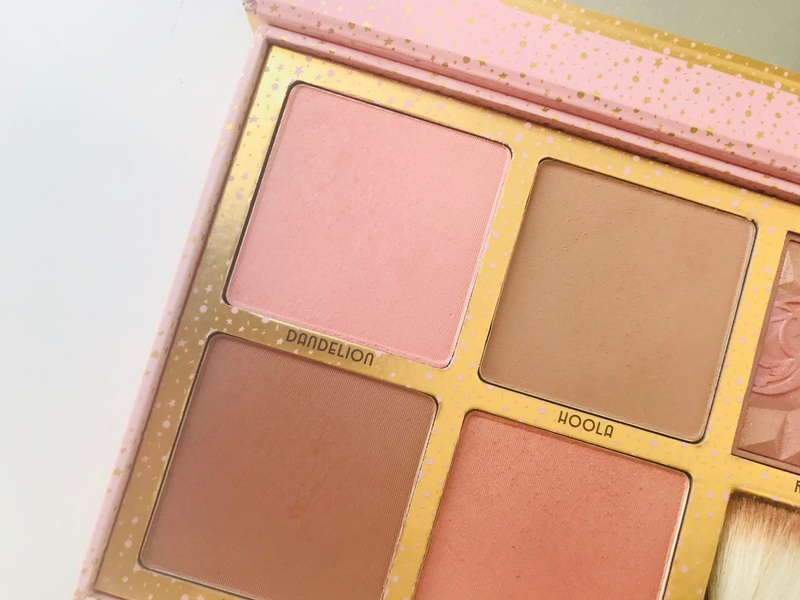 I’ve been really liking this to wear both on its own and with a full face as it can look like a natural glow as well as a more intense glow as a base for some powder highlight. This highlight is quite oil based and sinks into the skin very easily, however sometimes on top of foundation and concealer it can make it patchy and take off the product below so I would suggest blending it in with the concealer, rather than after it. and that is the perfect way to describe is ... as we all know I cannot explain things, especially scents. This has been perfect for this warm weather and it stays on for hours without having to reapply it!! Throughout this month I have also been really liking the Benefit Blush in Dandelion. I’m not usually that much of a Blush fan ... especially matte ones ... but this one is a really nice pale pink and it’s perfect for this time of year. It is subtle, but can be built up and it gives a nice rosy glow. It did take me a while to find a blush like this that is fully matte, is the perfect pale pink, but also isn’t too pigmented so wouldn’t make you look like a clown hah! My last favourite for this month is the Natural Collection Brow Tidy, which is said to be a good dupe for the ABH one. I used to really like this but didn't use it for month on end, until the last few weeks wheres it become a staple in my makeup routine again. For just £1.99 you do get a decent amount of product, which lasts a good while. If you have quite thick brows, like me, or brows that don't stay put with just brow gel, then this may be really handy for you as it keeps your brows in place before you apply any other product, so you can see where you need to fill in and the set again with some brow gel and they'll stay put all day! Thankyou so much for reading this post, I hope you enjoyed and I'll see you soon!